education | Mixture of Arts with Saytue "Sayewhat"
Mixture of Arts with Saytue "Sayewhat"
Creative mixture of topics, diversity of music show. What’s up everybody welcome back to mixture of arts with your girl Saytue Sayewhat, holding it down on mixture of arts radio. WoW! Tonights segment is quite inspiring, because truthfully, a lot of people are going through it in 2012. You’ve probably been experiencing some weird things in your life or with your thoughts, shoot, most of us think we’re going crazy and feel like the world is changing or doesn’t feel the same. This is especially true if you’re ascending. Now, before I get into the whole concept of ascension, ascending, whatever you wanna call it, tonight we have a special guest “Ron van dyke”, he is a iconoclast and a visionary who I met about two weeks ago on Youtube. Well, I didn’t really meet him, but I saw a few of his great youtube videos on the galethic federation of light and the ascension that is going on right now and I had to contact him about being on the show, because I’ve been experiencing some weird, but also exciting things in my life since January 2012. So, in a minute, I will put him on, but if you have any questions or comments, go ahead and call in at 818-572-8026. Aiight folks, in case you’ve never heard of Mixture of Arts, Mixture of Arts is a creative mixture of topics and diversity of music show, so just because the segment tonight is on spirituality, doesn’t mean that all of mixture of arts shows are soley based upon niches about spirituality. With that said, if you are searching for answers about ascension and or interested in the ascending process, then you definitely should listen in till the end of the show. We are on Facebook and twitter, so search for us on Facebook at “Mixture of Arts with Saytue Saye” and follow us on twitter @MixtureOfArts. Also, we are on IMDB, so if you can, make sure you rate us or write a review about the show. Aiight. Kool. Now, I’m going to take a fast commercial break and um, we’ll be right back with our guest “Ron Van Dyke discussing ascension 2012 and what are the signs. Everybody welcome back to mixture of arts with your girl saytue sayewhat holding it down on mixture of arts radio. Ascension-Are we and the earth ascending in 2012? And what are the signs? First of all, I will start of by saying this. And, this is my personal view on this subject, and you are entitled to your own opinion, ok. I don’t know much about ascending or ascension, what I do know is that I have been experiencing so real changes in my life since January 2012. Before January, I use to be a heavy smoker, and No, I’m not talking cigarettes, I’m referring to marijuana. I use to be very disrespectful. Not in a sense of simply being rude for no reason, but in a sense of feeling like others were being rude to me or being hipocrits regardless of age. I use to be mad all the time. I use to think nobody liked me. I use to be very selfish. Now, A little bit before 2012. When I use to smoke, I had these real bad anxieties, I’d would feel like I couldn’t breathe. And even when I wasn’t smoking, I had these extreme anxieties that people were trying to kill me. It was soo bad that I was afraid to watch the first 48 or movies that involved shooting or death. I was afraid to go out at night. I was afraid to let friends come over. I didn’t trust anyone. All I watched were cartoons or Disney or nickelodeon. I couldn’t even watch the news, because that made me scared. Now, as soon as Jan 2012c hit, I had a real bad case of Dyspnea. It was so bad that my chest felt blocked, my neck and body were stiff and were in pain, I had to take deep breaths every 10 seconds, and my anxiety was not under controlled. I felt like I was going to die. I went to the doctors that entire month. First they said I had bronchitis and gave me meds and a inhaler. Those didn’t work. My primary doctor said it was stress. I also, took a lung test, eco test and they looked at my heart, everything came out healthy and fine. They couldn’t find the cause of my shortness of breath. So, I decided to look for answers myself. I began searching online. I mean, I felt like I was going crazy. I felt drained, extremely tired, I quit smoking weed 100%, I started looking at people differently, I felt like something was in the air that was causing all of theses things in my life. I felt like their world was going through something that I couldn’t explain to myself or others. About March, I felt a little better, but now, I slept everyday and any chance I could get. Even if I got 8 or 12 hours of sleep, I’d still be tired like I never slept for days. I didn’t want to do anything, but sleep. I quit doing my radio shows for awhile and I immediately stop doing a lot things in life that I thought were important. I just felt like I needed a break. Anything I didn’t want to do, I didn’t do, If I felt like doing it, I’d do it. I started eating healthier and everything. There were times I felt like heaven was so close to me, that I could talk to the shy and it felt like it was listening. Truth is, Right now, I’m less stress, I don’t worry about anything, I do what I want. I laugh more. I smile more. I even cry more than usual. I’m appreciating my family more than ever before . I just want peace. My stomach has been feeling full even when I don’t eat, for some reason. My ears hurt, I’m having these lil bumps on my face and arms, from which I don’t where its coming from. And I these lil burst of energy. I’m still experiencing shortness of breath, but it’s not as bad as in January. I don’t know if these symptoms are exactly the ascending symptoms, all I know is that I’ve changed since January 2012. And to be honest, as a little girl, I’ve always felt good and bad spirits around me. I use to see shadows and feel like bad spirits were trying to take me. I have always been the type that doesn’t have to pray to be protected, because I’m always protected, regardless. I’ve always felt different or like I’m an angel or something. My parents use to think I was crazy until I told them about my sister situation, which she ended up being killed, and they realized that I wasn’t lying when I told them about what I saw or felt. I could’ve saved my sister, and I tried, however, it was totally up to her to listen to me. I had done what I was suppose to do, which was warn her and save her 3 times. Now, I know that there are people in this world that are here for a specific purpose and I totally feel that way about myself. If you asked me the definition of ascending, I will prolly tell you that its a process of which a person is becoming their true self, without worrying about who is watching or judging. Ascending is a process of which you are using all of your 5 senses in a way that you don’t need to think before you do them. 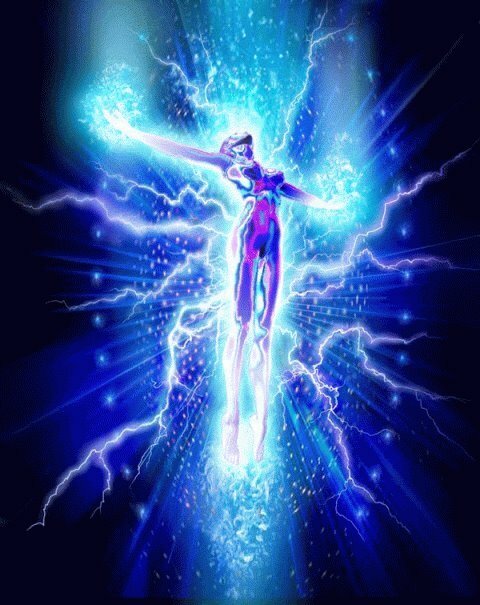 Ascending is a process of which a person is becoming more aware of who they are and why they are here on earth. It’s like they are in connection with the earth on a more deeper level. Now, that I’ve told you a little bit about my experience, I want to welcome, Ron van dyke to the show, how are you Ron, thanks for coming on the show. 1. Ron, what is your thoughts on the ascending process and are many people ascending in 2012? 2. Ron, what do you think about my experience? Do you think I’m ascending or not? 3. What kind of people are chosen to ascend? Can anyone ascend? 4. Ok, I want to be clear on this, because I’m still a little confused. Is the sun really rising or is there a certain energy that is doing all of this? Or is the sun referred to as energy? 5. Do you know about 12 strans of DNA that we’re missing in our body’s? I heard we only have 6. 6. I heard the only reason why we have 6 is because aliens came erased our memory or put a chip in us. Is this true? 5. Do you think the government has anything to do with ascension? 4. Who or what is the galethic federation of light? Below is a video that Ron created on Youtube in conjunction with the show. Great stuff! Recently, I did a show on how to quit smoking. 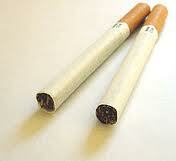 If you are really trying to quit smoking, I give you steps on how to quit your smoking habit. You Ismoking is bad. I know smoking is discusting. We know smoking cigarettes is not good for your health and can kill, so why take it serious about stopping this habit. Listen to this episode of mixture of arts ans quit smoking today. Hip-Hop Recording Artist Larry Henderson A.K.A. Lak is the ‘hip-hop educator’ featured on international media outlets including CBS and London FM radio. His new album, Lesson One: Hip-Hop & Education, has hit bestseller lists on Amazon.com, reaching #1 in Hot New Releases and #8 in Educational Music. The album blends educational lyrics, ill metaphors and an hypnotic flow with underground hip-hop beats. 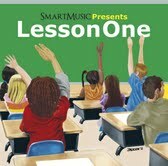 Songs on Lesson One hit on topics such as money management, African-American impact, female empowerment, history, politics and more. Listeners will be impressed that even though Lak’s music is educational, the soul and integrity of hip-hop music is not compromised. Dominion of New York Magazine says, “Most people who use hip-hop to educate children do so badly. Lak does it so well that after a kid shares his music with you, you’ll secretly download the album yourself.” More about Lak at http://www.SmartHipHopMusic.blogspot.com. Connect with him on Twitter @SmartHipHop. Docurs cured child with aids virus?